Coach House style three-car garage with separate nanny/in-law suite above it. Geometra Design Ltd. 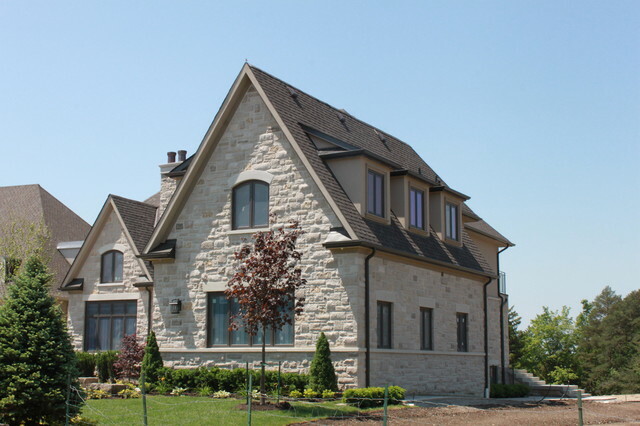 Brick and natural stone veneer.